Cupcakes for a Cure is Tomorrow! Cupcakes for a Cure 2017. Tomorrow is the Lady Dunn Health Centre’s 4th Annual “CUPCAKES FOR A CURE”. Did you know that 1 in 8 women will develop breast cancer in their lifetime, and chances are you or someone you know will be affected! 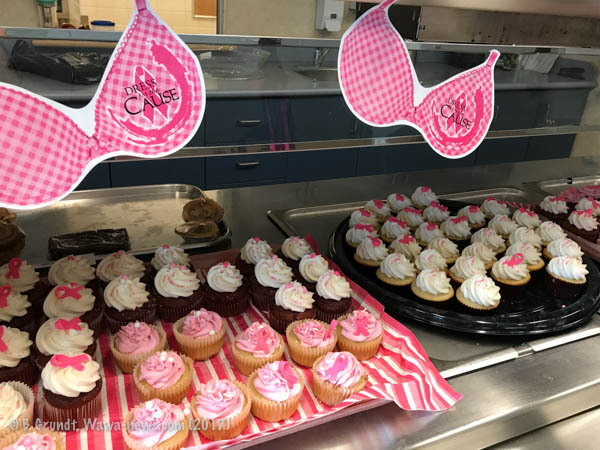 Every year local cancer survivors and friends bake and decorate cupcakes with love and hope, and then sell them in the LDHC Hospital Cafeteria, raising funds to support Breast Cancer Research and local oncology patients! Louise Needham explained, “We are very excited for this year’s event, we are hoping for even more cupcake orders to raise money for Cancer Research. Over the years we have contributed to Breast Cancer Research, Lung Cancer Research and last year purchased Sault Area Parking tokens for our oncology patients who have to travel to the Sault for treatment. Prior to the sale, we have a Cupcake decorating social where cancer survivors come together to decorate all these yummy cupcakes for you to enjoy! We then we meet up in the LDHC cafeteria for the big sale from 12 to 2 p.m.
Cupcakes are sold by donation, customers can buy just one cupcake, half a dozen or share a dozen or two with their friends and family. Treat someone to a tasty gift. Please call Louise at 705-856-2335 ext 3413 for more information or to place larger orders for your business or family. You are asked to make a donation for your cupcake(s). 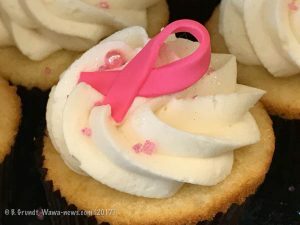 Cupcakes for a Cure is October 19th, 2018. Cupcakes are available from 12-2 p.m., but you are advised to come early to ensure you get one.